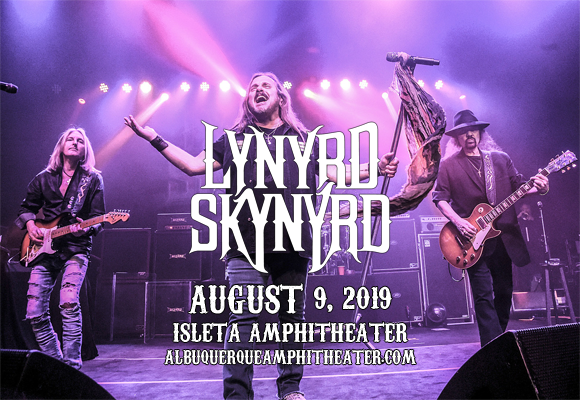 Rock and Roll Hall of Fame inductees and Southern rock icons Lynyrd Skynyrd are heading out on the road one final time on their Last of the Street Survivors Farewell Tour, which comes to Isleta Amphitheater on Friday 9th August 2019! The "Freebird" legends are bringing their all to this extensive global stint, which gives fans the opportunity to see Skynyrd perform one of their iconic sets in their favorite venue for the last time ever! A worthy send-off for one of America's most notable bands! Originally known as My Back Yard when they formed in Jacksonville, Florida in 1964, Lynyrd Skynyrd are an American band who were at the center of the Southern rock movement of the 1970s. The group's self-titled debut album (subtitled "Pronounced Leh-nerd Skin-nerd") was released in 1973, launching the hit single “Freebird”. The following year, the band supported The Who on their now legendary Quadrophenia Tour and released their follow-up album Second Helping, which brought them mainstream success with the song “Sweet Home Alabama” and went on to gain platinum certification. Three years later, tragedy hit Lynyrd Skynyrd when frontman Ronnie Van Zant, guitarist Steve Gaines and backup singer Cassie Gaines lost their lives in an airplane crash, at the peak of the group's popularity. The remaining members retired the band for ten years, before eventually reforming in 1987 with a new line-up. They have continued recording and touring ever since, and 2019 marks their final tour together.